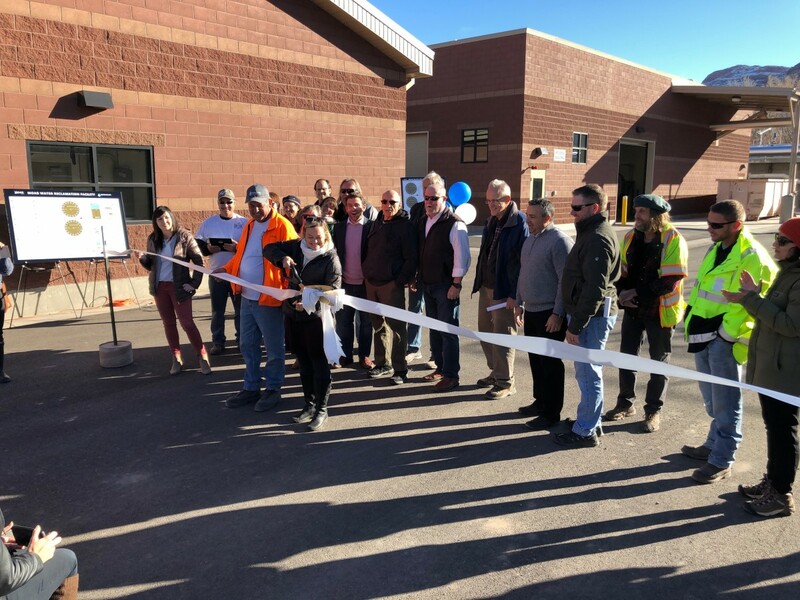 For the past several months, BC&A has been involved in planning, engineering design, bidding, and construction management of the new Moab Water Reclamation Facility in Moab City, Utah. Although the facility has been operating at full capacity for the last few months, BC&A personnel, along with city officials and plant staff, were able to participate in an official ribbon cutting event to commemorate this state of the art facility. From the feedback we have been receiving, this plant is far exceeding the expectations of the City and plant officials. A huge congratulations to those BC&A staff who were able to work on this incredible project.